Want the coolest carved pumpkin on the block? 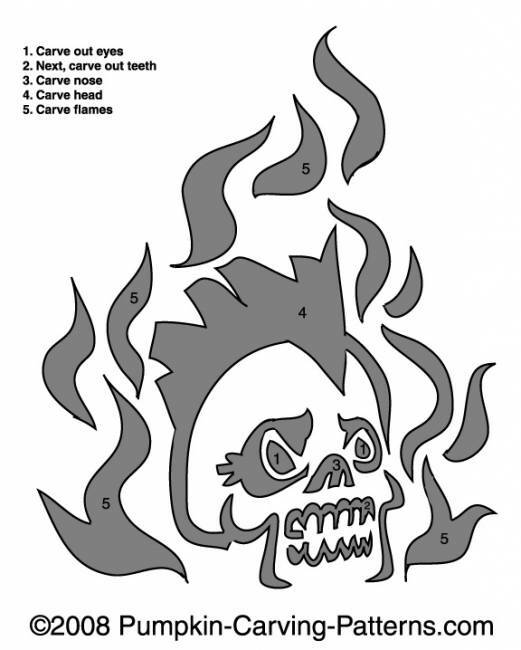 Choose this pattern of a ghastly flaming skull! The flaming skull is an evil looking character and beats any halloween skeleton hands down!